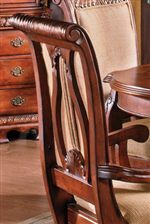 This traditional style buffet features beautiful detailed accents for a lovely sophisticated appeal. Utilize a total of seven drawers and interior storage space for storing dishware and silverware. 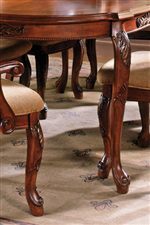 Fabulous bracket feet grace the piece with a superb final touch. 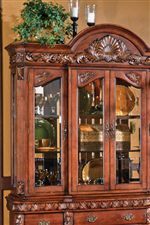 Pair with the matching elegant hutch for the complete china cabinet set. The Harmony Traditional 2-Door 7-Drawer Buffet by Steve Silver at Walker's Furniture in the Spokane, Kennewick, Tri-Cities, Wenatchee, Coeur D’Alene, Yakima, Walla Walla, Umatilla, Moses Lake area. Product availability may vary. Contact us for the most current availability on this product.